When my oldest daughter was accepted to the University of Florida, during her high school graduation party, a relative who attended UF gave her a list of 100 things to do before leaving Gainesville. Of course, some of the items were meant for her eyes only. The list included sporting events, bars, restaurants, and student-only activities (did I mention bars) – an all-encompassing list based on their four years at Florida. Unfortunately, that list seems to have disappeared but I vaguely recall some of the places they said she should visit at least once. I have been to these places both as a student at UF and as a parent of a UF student. When you are visiting your student, whether for a football game, family weekend, sorority/fraternity parents weekend, or just to visit; it is all about spending time together. There are some great outdoor sites not to be missed over the course of the next four-plus years. During one of my visits for mother-daughter weekend, we took a long walk around campus and saw lots of alligators (we kept our distance), took in a baseball game (ok, we both love sports and it was a fun day out getting to watch our first collegiate baseball game) and went to Lake Wauberg. Gainesville is beautiful in the fall, winter, and spring – I will admit that summers in Gainesville are ridiculously hot and humid and sticky. Summer is a great time to go tubing but make sure you have your sunscreen and shades. Lake Wauburg – Located eight miles south of campus on Highway 441, Lake Wauburg North Park and South Shore offers UF students, faculty and staff a place to relax and enjoy the great outdoors. Many activities are available including boating, swimming, volleyball, stand-up paddleboarding, water skiing, and wakeboarding, climbing wall and more. Admission and activities are free with a Gator 1 Card. A Gator 1 Cardholder may bring up to four guests. Paynes Prairie Preserve State Park – Florida’s first state preserve and a National Natural Landmark. Eight trails offer visitors the opportunity to hike, horseback ride, bicycle. More than 20 distinct biological communities provide an array of habitats for wildlife and livestock including alligators (this is near UF), bison, horses and more than 270 species of birds. Open 365 days a year from 8 am to sundown. $6.00 per vehicle, limit 2-8 people per vehicle. $4 single occupant vehicle. Other fees apply for full-facility camping. Tubing – Northern Florida has some beautiful freshwater springs. Choose between Ginnie Springs or Ichetucknee Springs, rent a tube and float down the river. Along the way, you can stop on the side to jump from one of the many trees. 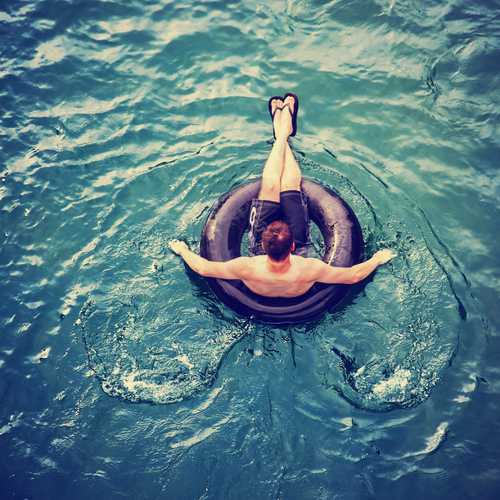 You can rent tubes or bring your own tubes and rafts. UF Bat Colony – I must admit that I am not a fan of bats at all but the bat houses are on most lists of what to do at some point when visiting Gainesville. UF is home to the world’s largest occupied bat houses with an estimated population of 300,000 bats. Located on the north side of Museum Road between Village Drive and Radio Road across from Lake Alice. The bats normally emerge during a 15-20 minute period after sunset. They will not attack or harm people as long as you leave them alone. Haile Plantation – This village five miles from the University of Florida, is a throwback to the traditional villages of the past where neighbors knew one another and stores, restaurants and other retail outlets. With beautiful fountains, gardens, and boutiques, for visitors, try the weekly Farmers Market. Check their events schedule for ranger-led tours, bird walks. Open seven days a week from 7 a.m. to sunset. The Cade Museum – Located on in Depot Park in downtown Gainesville, this modern museum from the inventor of Gatorade features interactive science & technology exhibits. Closed on Monday and Tuesdays. Ticket prices are $10 for college students and seniors, $12.50 for adults 18+ and $7.50 for youths 5-17 yrs. Devil’s Den Spring – Located in Williston, which is between Gainesville and Ocala, this underground 50 ft. sinkhole inside a dry cave has been home to many extinct animal fossils dating back to the Pleistocene Age, which are on display at The University of Florida’s Museum of Natural History. This is for snorkeling and scuba diving but they do not allow swimming. You can rent mask, snorkel and fins, which are required, or you can rent them. If you have someone in your group that isn’t going to snorkel or scuba dive, they can head next door and see Cedar Lakes Woods & Gardens, a Japanese botanical garden and or Two Hawk Hammock which has a flying trapeze experience! Saint Augustine Beach – About an hour and a half drive from Gainesville, St. Augustine boasts 42 miles of beautiful beaches, from the pristine coast of Ponte Vedra Beach to St. Augustine Beach’s lively surf. While in Saint Augustine, you may want to take in Anastasia State Park. It has most everything a beachgoer might be looking for: sunbathing, surfing, swimming, fishing, sailboats, paddle boarding, and sailboarding. This beach boasts beautiful, white sandy beaches, a variety of birds, turtles, and other wildlife. Visitors can walk the nature trails that wind through the dunes shaded by maritime hammocks. Anastasia State Park is located just minutes from downtown St. Augustine. Crescent Beach – This was the beach my friends and I headed to when we needed to escape from Gainesville. Crescent Beach is a small community with little commercial development. There are plenty of beach house rentals, condos, and cottages available. It is an hour and a half drive to get to but a beautiful, pristine beach. Cedar Key – This quiet island community is on the Gulf Coast of Florida. Long admired for its natural beauty and abundant supply of seafood, Located 50 miles southwest of Gainesville, it sits three miles out into the Gulf of Mexico. Highway 24 is only one road coming into town. With a population of approximately 800 full-time residents, Cedar Key is a haven for artists, writers and “adventure” tourists, who find the unspoiled environment of their inspiration. Thousands of visitors come annually to enjoy the “Old Florida Celebration of the Arts” in April, 4th of July, the October Seafood Festival, Pirate Festival, and The Stargazing Party in February. Excellent fishing, bird watching, nature trails, kayaking and coastal guided tours. The small town shares its roads with cars, bicycles and golf carts. Chances are, your student has come to love Gainesville and UF. They are excited about their home away from home. By recognizing they call UF home (Trust me, at some point, you will overhear them tell a friend they are going home and mean back to school. It stings but then you remember, that is exactly how you would want them to feel). Plan to enjoy the free time with your students and making memories of this special time.